I have already (almost) hit my one month of blogging and I have learned so much from it. From that experience, I took the time to post about some things new bloggers should know about blogging before they start to be extra ready for their own journey! These tips will ensure you a great first month of blogging. After 1 month of blogging, I can already feel the pressures of time management and trying my best to schedule – basically – my life. It is so important to have a set schedule every day. Because blogging is way more than just writing and then posting, like people think. Blogging consists of writing and then revising that writing; taking pictures and then editing and adding them into posts; promoting and helping promote others in return; creating graphics and not just one for each post, but several. That’s just the gist of blogging there is so much more. Imagine. We have juggle with all those responsibilities and our life as well. Whether it be homework, projects, jobs, children, or even laziness. Every blogger will struggle to know what they need to do. That’s why it is so important to have something to help you schedule or reminder to do things. I suggest having some sort of app or even an actual agenda to help you sort your life out! If I had to be honest, I was so uncertain about starting my blog. Because I was afraid about what people would think if they ever came across it. I was afraid that the things I would write about make people judge me. But I’ve learned that I just have to be proud of myself for everything I’ve done. Starting this blog was a challenge and that, in itself, is something I should be proud of. I didn’t want to say it this way but it’s the best way to explain: be shameless about your blog. Don’t give this a negative connotation. I mean it in the way that we should be proud of what we write and create. Can you believe that we took the time to sit down and write word after word of each of our blogposts? On our own website that we carefully customized with codes and widgets here and there? This is kind of like part two to the previous tip. You have to be confident and just put yourself out there or else, who will ever find your blog? Join Facebook groups, Pinterest group boards, start an Instagram, etc. Don’t be afraid of wanting to be successful. Once you start your blog, you have to have the courage to send emails, respond to comments, send messages to various people. For example, to join Pinterest board groups, you must contact the group’s owner to be invited. And that requires us to contact them by email or by the Pinterest messages. Something I struggled with even before starting my blog was being okay with taking pictures of myself. I hated it to be honest. But after starting my blog, I realized that I can’t keep being so insecure of myself. 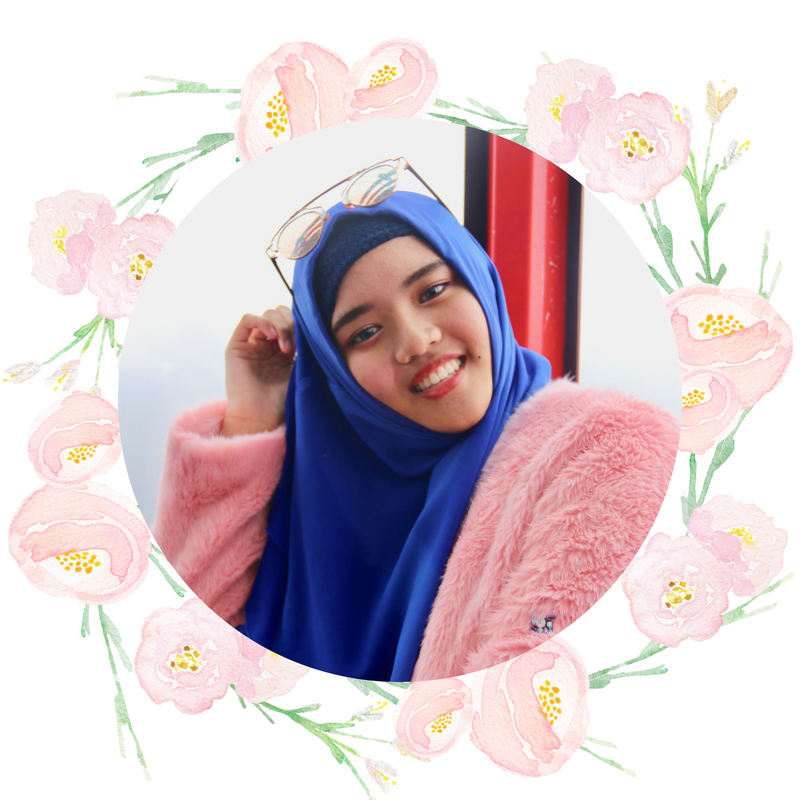 For readers to know who is behind this blog, I must show who I am with pictures especially since this is a lifestyle and fashion blog. Also, if you have any sort of dream partnerships, have the courage to be the one to start the conversation! Send them an email or two and even if they decline, I promise you’ll find your perfect partnerships along the way. Putting yourself out there is very important for the success of your blog. In order for people to find you and read your awesome blogposts, you have to promote yourself. I haven’t struggled too much with this but I think many future bloggers should know this tip. To put it simply, if you don’t like writing about a certain topic, don’t write about it. Many bloggers try to write about things that seem to be “in trend” when they start out. That may not be a bad thing but, if you originally had no passion or that push to write about it, why start at all? I think we’ve all heard this that if you write about something you have no interest in, readers will know. Readers will feel the insincerity of your posts and that’s not a good thing especially if you want loyal readers. They will feel that disconnection between you and the topic and of course, who wants to read a post that’s mediocre right? Is it only me but does any new blogger feel anxious when they get a new comment? We have to be ready for all types of comments whether it be negative, positive, or in between. I haven’t gotten any bad comments or anything but, always being ready for it is good for any blogger. If you ever get a “bad” comment or critique, use it as a way to reflect on your writing but don’t let it discourage you. There’s always time to improve and be a better writer. And of course, if people took the time to write comments on your posts, write back especially when you just first started out. Offensive comments are another story. Not everyone reaches success one day after they start a blog – really no one. We all start from the very bottom and work our way up. There is no shortcut to success because we learn from our failures and mistakes and from others. If you are passionate about what you do and blog, I guarantee that passion will start to be recognizable to others. So find your voice and topic, keep writing even if things don’t seem to be going the way you want them to. Because with time, they will. Keep that strong push you had when you first decided to commit to blogging. Keep writing, promoting, and being proud of your content. Because your content is unique and even if it has no impact right away, you will be able to make your brand known. You gave some great points on how to start a blog. I definitely agree with you on the part where you should be proud of what you are doing without that you will be miserable trust me and this from experience. Yes, it is so important for us to write what we want to write and what we truly care about instead of following trends. Good knowledge on the subject, you want to write about, is essential for blog. You have given useful blogging tips for aspiring bloggers. Great tips in your post and I am glad you started with scheduling, your right that a lot of people think.. ah blogging. Write something up and post, I was guilty of this in my first year and it caused me so much stress about having enough content. I realised I could NOT create my content the night before planning to post. Now I have set posting days and am roughly a month and a half ahead of myself which means I all the content I work on adds on to the end of that. Also so true you need to be proud and passionate about what your putting out. It has to be fun for each blogger! Sometimes we have to learn from our own mistakes and then improve. I’m glad you got to improve with your blogging throughout your experience! I cannot stress how useless I’d be without my planner + checklist notebook + notepad. I need these things to get me through the day, especially between blogging and work. I’ve had my blog for a while now but haven’t really had the motivation to do it as a habit so your post has certainly helped! P.S My favourite brand is for these kinds of notebooks are from Cotton on, check them out! Yes! Even without a blog, I think it’s important for everyone to keep a schedule in some way. Thank you for the recommendation, I might check it out. My favorite brand right now is ban.do, haha. Scheduling is the one I am the worst at, and really need to focus more on. But I think or at least I hope that I’m able to improve on that aspect. Great post! Commitment is absolutely key to having a successful blog! Great tips Conchita! My own one month blogging anniversary is approaching and I’ll definitely be expanding on some of the points you raised and more. Awesome job on your blog so far! Thank you, Tandra! Ooh I hope you learned a lot from your one month and let’s keep growing even bigger together! These are all great tips, some i wish i had known before starting! Consistency and structure are key! Yesss! These are all so, so important to keep in mind when you start a blog. Especially time management – you have to be really disciplined and spent time nurturing your blog. It’s like a plant that needs watering to blossom! Critiques can be a hard one to get used too. When you spend so much time and effort on something, just to have someone tear you down can be very soul destroying. But pay no attention! Everyone else is there because they like your content. The good always outweighs the bad! Great points! I definitely agree with them all, especially opening up and writing about what you are passionate about! These are all great tips. I really struggle with time management because I work a full-time job in addition to my blog. Opening myself up for more time is really difficult to say yes to right now. These are great tips. The hardest thing I have is managing my time better. Critiques were hard for me at first, but after a while, I looked forward to them. They help me to write better and to write things that are more relevant to my readers. I agree with all the points you mention here! Blogging is a fascinating activity, but it also needs a lot of time and dedication. These are all so true! I have watched throughout the last few years since I’ve started my own blogging journey, as so many bloggers burned out. Why? They were never passionate about what they were doing, they were in it as some sort of get rich quick idea, or were not writing about what they really wanted to write about. There is a niche and subject out there for everyone and people who would want to read about it. It just takes that first step to go for it! These are some awesome tips! I wish I had thought of a lot of these when I started blogging. I wish I had more time to dedicate, but I work full-time plus have 3 kids at home. It’s my catharsis. Great advice on blogging! You’ve hit some really great points on blogging, especially having ideas to write about. Thanks for sharing this post. By the way, love your pics! These are some useful things to know. As an introvert, I have to admit, some of these things were difficult. I found networking to be the most difficult but realized soon enough that I would need to learn the networking aspect in order to be a successful blogger. Time management used to be pretty difficult too. Now, I always have a calendar and an eplanner to help me with the time management aspect. I’ve figured out a system that works for me and I think in the end, we all need to figure out what works especially if we want to succeed as bloggers. Loved this entry, especially when you said that you shouldn’t be afraid of wanting to be successful! You should do you and be proud of it because a lot of people don’t have the courage to try! Being organized is SO important! A planner helps me organize my blog and keep on schedule. I agree, you have to write about tips that you love. Readers also seem so much more engaged on posts that I loved writing. Yes to this! These tips are all so important. I so agree that writing about what you want to write about helps. As a High School Senior photographer, many have suggested writing about fashion, but I don’t know fashion, so it’s too much for me. So I found things important to me and ran with that! I started blogging about my passion that is books and fashion and I love what I write about. And time is precious!! All these tips are completely true, but my biggest challenge last year was time management. Setting myself up with a schedule and not trying to accomplish all things in one day really helped me tremendously. I keep my planner with me at all times! Such great tips for beginner bloggers, and reminders to experienced bloggers. My biggest challenge when I started blogging was time management. I didn’t realize how much time blogging actually took. Congratulations on your first month of blogging! I have been blogging for over 3 years now and indeed time management is essential. Having a planner and writing down your daily tasks in it it’s very important to keep you focused and organised. You’re so right when it comes to staying with it. Blogging is not a sprint but a marathon. It takes time to grow a following, get your audience and to create a community. These are ALL really good points, Conchita! I’ve been blogging for about two years now, but many of these are things I still need to hear today! Thank you for this insightful post!!! These are such great reminders! It’s so easy to “think about” starting a blog but actually following through, and starting off on the right foot is not so easy. Wonderful tips on being confident about succeeding and writing what you really want to write about. These are all great tips. Time management is really key and one I need to manage better 🙂 Thanks for sharing this. I agree with all your points you said. These are all great reminders for those who want to start in the blogging industry. and Time Management is so important and the key to being successful. I wish I would have seen this post when I started to blog. I absolutely agree with all of this! I started blogging 7 months ago and yes time management is huge! I also realized the power of writing posts ahead and scheduling them! So helpful! And yes when you write about what you know, the words just flow ☺️! All very well said and all very true. I’ve seen people do polls and stuff trying to fill some magical space in the blogging universe that, somehow, no one has ever touched on. They’re asking what ppl want to read about. My question is always “What do you want to WRITE about?” If you don’t have a passion for what you’re doing your readers will know it and you’ll lose steam quickly. Keep up the good work! I am fairly new to blogging so these are some really useful tips, thanks for sharing them. Great post for anyone who is starting/or wanting to start a blog. It can be hard to find a voice, great advice reminding people to find something they are passionate about, and be confident. These are great tips! You are so right about time management! That was my biggest struggle when I first started my blog. I would work on a blog posts for days sometimes weeks at a time and after that I wouldn’t want to post it or felt like it was worth to post anymore! I really enjoyed reading this post. It reminded me of how it is first starting out and how hectic it can get. This post is very helpful! Great tips!!!! I just started blogging last week. I have been putting it off for a very long time. I have a photography business so it should be easy but when I go to write I can’t think what to say! I think time management is a big one for me. This is definitely a great list for aspiring bloggers who find it tough to figure out the fundamentals..i agree with the success point..after all who does not want fame..
All excellent advice. I’ve been maintaining websites since 1998 – and blogging since WordPress came out in the early 2000’s. It does take a while to learn to deal with some of the comments you may get from people – or rejection from the favorite brand you just pitched. The key is just pick yourself up and move on. So so true. Love this post. I would completely agree with writing about something you identify with. So many times have I seen a gear shift in topics and lack of passion for the topic. I am food and drink – simple. I wish someone was there to advice me back when i started.. YES, KEEP GOING! NEVER QUIT!!! xoxo. Great tips! Wonderful tips! I am a newer blogger myself and have come to many of the same findings as you! It is a work in progress but definitely worth pursuing! I always try to tell myself that comparison is the thief of joy. I try not to compare myself to others. I also need to get better at time mgmt. I tend to obsess over certain things and you get zero done that way. This is all great advice! It’s really hard to push through sometimes when you get discouraged. Last year I took off weeks at a time when I started feeling this way. Now I’m learning that those breaks actually really hurt my numbers and it’s just not worth it! I power through when I can, and try to schedule in advance so that if I’m not feeling it for a week or two, I’ve still got content coming out! The Time Management, and Keep Going were two points that really stood out for me. I’m a mom and I have a full time job, so it can be hard to balance all of that with blogging. This year, I am really taking advantage of scheduling posts, and trying to write as much as I can on weekends. I’ve also been batch processing photo shoots, so that has been helpful. As far as sticking with it, it can be hard, especially when success doesn’t come right away, and views are low, but I’m determined to keep going, and see it through! Fledgeling blogger here and I really appreciate these encouraging tips. There’s so much to learn that sometimes the whole thing feels so intimidating! Blogging is definitely a mindset change for me. I tend to write a lot but having the dedication to actually type it all out is what I struggle with. Thanks for these great tips. This is such a great post! I still consider myself a newbie started in September. These are still really important for me to remember. Thanks for sharing. I love that you said to be proud of what you write. What we come up with even on a platform like this still comes from a deep, personal place. I totally agree with you! These are great tips and I agree with all of them! It’s so important to stay true to yourself and the content you create. That should be number 1! YES YES YES! When I first started my blog I wasn’t proud of it and I tried to hide it from my friends and family. But it’s so wonderful what we are doing and we should be proud of ourselves. These are excellent ideas & great advice. Thanks for sharing! Yes, to writing about things you actually want to write about. So important to be passionate about what we’re doing, in order to keep it alive and sustainable. You’ve shared some really great tips for those looking to start up a blog. I definitely agree with your point about being proud of what you’re doing. It’s tempting to try and keep things secret when you first start blogging for fear of judgement but the only thing that matters is if you enjoy what you’re doing! Great tips! It’s hard not to give up when you don’t have time. There are some really great tips here for beginners. I agree that writing about what you love is the key to a successful blog. I am still working on planning my posts and have a schedule for at least a month ahead. Great advice, especially Keep Going. You have to decide if you’re in this for the long haul and be determined. Also, love the fact that you encourage people to reach out to others. We’re in this together. These are all such great points! I am struggling with time management, so thanks for the tips! Honestly I wish I knew about these ones before I started…. My biggest struggle ( I don’t know why ) is opening up…It just gets in my head and I feel super embarrassed… Does that happen often, I wonder? Time management and scheduling is so important many bloggers struggle in these areas starting out. These are definitely perfect tips to know before you start blogging. Time management is super important. It can consume your life, so having a set schedule is important! Thank you for sharing, I needed to hear some of this as a reminder. There’s actually a lot of people out there who don’t actually know what they want to write. I will actually suggest aspiring bloggers to explore and try out different topics to see what they like before focusing on one! As i was looking for some useful information and tips to write content effectively for website and i came across to your article . Good Stuff !!! I especially liked how you taught “don’t let it discourage you” and keep going thought.